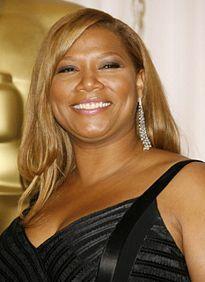 Queen Latifah says if you want to succeed (especially in the biz of show!) - you need to make it happen. Appearing on Inside the Actor's Studio, "Lah" says that she had to make success happen for herself because when she started she was not the type of person Hollywood considered all that employable. She hooked up with writers and directors who shared her vision and understood what she could contribute to any project. She got herself to places where industry folks could get to know her - and face it, what's not to love? Of course it helps that she's not just affable but multi-talented, well trained, experienced and a real go-getter. She had a plan and she followed through with it. Johnny Depp says the way to make it happen is not to work too much. He believes that actors who take every job offered don't stand out; if you want to have a long lasting career and establish yourself as a notable performer, be very picky about the roles you select to take. Consider the type and quality of work you want to do and hold out for them. Renee Zellweger says she didn't work for a year when she decided to be careful about the roles she chose. But the payoff has been a career filled with terrific work and an Academy Award! Sandra Bullock took charge of her career when she realized she wasn't doing herself any good by taking roles that didn't enhance her reputation professionally or personally. She now runs her own Fortis Films production company, so she's in charge of selecting the projects, she has creative control, casting, quality control and of course gets to cash in on her own image, talent and skills. Miss Congeniality exceeded $300 million at the box office. Sandra made it happen for herself the way she wanted. It took courage, a solid plan, determination, perseverance and a bunch of hard work to make it happen, but in each case, these extremely successful people did it by taking control of their careers and doing it their way. None of them succeeded by doing what old Hollywood said they "should" or "had to" in order to "make it." Most importantly, they did not convey a sense of desperation, but of being pro-active and skillful. What do you need to do to make it happen for yourself? Do you have a plan? Do you feel confident or desperate? Are you happy with yourself and ready to take control of your career?